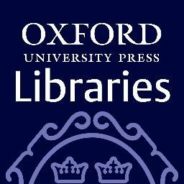 OUP Libraries on Twitter provides insights and information for librarians - sharing news, resources, and ideas for libraries across the world. There are only a few weeks left until the UKSG Forum 2016, and to get into the spirit, we’re reflecting fondly on the UKSG conference that took place in Bournemouth earlier this year, and the OUP prize draw that had everyone talking. We asked our librarian delegates to help us build the perfect library by answering one simple question: which one book couldn’t you live without? Whilst the instructions were straightforward – write your chosen title on one of our book stickers and stick it on the bookshelf – the question itself proved challenging for the majority of our exceptionally well-read participants. Reactions ranged from pondering for a few minutes, and ‘going away to think about it’, to attempting to sneak more than one title into the library. One passer-by observed that the competition was a trickier, literary version of ‘Desert Island Discs’. Over the two days of the conference, we saw our library grow to incorporate fact and fiction, brand new titles, and the classics, across a full range of genres. #shelfies from the OUP stand at the UKSG conference. Photos taken by Sally Bittiner. What do librarians like to read? Of a grand total of ninety entries, seven titles appeared twice in our perfect library, including The Master and Margarita, A Prayer for Owen Meany, and the Norwegian classic Hunger (Sult). We were pleased to see many librarians keeping in touch with their inner child, with the kids’ classics of The Lion the Witch and the Wardrobe, The Hobbit, The Wind in the Willows, and The Magic Faraway Tree each occurring twice. Speaking to the participants, we learnt that many felt compelled to choose a title that had made an impression on them in childhood. Our competition also paid testament to the enduring popularity of the classics. Indeed, a mighty seventeen Oxford World’s Classics appeared on our shelves, including Mary Shelley’s Frankenstein (added by a participant who had visited Shelley’s grave at St Peter’s Church in Bournemouth earlier that very day), Pride and Prejudice (added by an enthusiastic Colin Firth fan), Middlemarch, Little Women, and The Count of Monte Cristo. Though no single author dominated the bookshelf, we did see some authors cropping up more than once. Popular novelists included J. K. Rowling, Roald Dahl, Haruki Murakami, Virginia Woolf, and John Williams, each with two different titles in our perfect library. So, here it is, our ultimate reading list as chosen by some of the most qualified and enthusiastic bibliophiles we know. How many have you read? Featured image credit: CC0 Public Domain via Pixabay. Sally Bittiner is a Marketing Assistant at Oxford University Press. The Ragged Trousered Philanthropists by Robert Tressel should be on this list. One of my favorite OUP posts so far! But what is this “Orange (author unknown)” ? We [folks at my local bookstore] found a “[The] Orange” by William Andrew Spaulding, a supposedly important history of the orange in Cali. circa 1884. John McFee has “Oranges”. The rest were mostly all children’s books. Orange? Maybe the person meant Oranges are Not the Only Fruit, Jeanette Winterson? It’s a very good book . . .